First Lines: Low grumbled emanated from the creatures circling me, grimly advertising their intent. The sweltering desert heat clung to me like a second skin, causing beads of sweat to trickle into my eyes. I was asked by the author to read and review this book. When I first heard about this book, I wasn’t sure what I was getting into. But the cover was gorgeous and it looked interesting. So I went for it. Bree is an absolute disaster of a witch. She doesn’t have the same magical abilities as other students at her school. In fact, she’s far more likely to blow something up than she is to have it do what she wants it to. …And for some reason, elite covens are desperate to have her join them. Bree doesn’t understand it, and can’t explain what she’s apparently doing right. But when the coven trials turn potentially deadly, Bree begins wondering if there’s another reason why the covens want her. I probably botched that. Sorry. The best way to describe this book is ok. I mean, it was pretty much middle-of-the-road on a lot of things. Characters were ok, but not great. Action was ok, but not great. The writing style was pretty good, especially when it got snarky. That’s what kept me reading far longer than I would have otherwise. The story itself seemed to need some work. Characters weren’t acting like we were led to believe they would. For example, Bree is supposed to be this social pariah because of her clumsy abilities, yet the most popular guy in school suddenly takes a mostly unexplained interest in her right at the beginning. I didn’t understand it. And the action seemed to have little continuity. It was like a hodge-podge of events stitched together just because they all happened to happen to the same person. The climax, for example, has absolutely nothing to do with the action and suspense of most of the book. That seemed highly irregular and frustrating, because it didn’t really answer any questions. I was also frustrated with the characters, who were catty and flipped from friend to foe in less time than it takes to make a peanut butter and jelly sandwich. I mean, these were the people I tried to avoid in school and this book was just full of them. Plot events came out of nowhere, questions weren’t answered, characters didn’t seem rational. It was all a frustrating event. I really wished I had liked it more. I wanted to. But the best thing about it was Bree’s voice and snark. First Lines: It doesn’t start here. You’d think it would: two terrified girls in the middle of nowhere, cowering together, eyes bulging at the gun in his hand. But it doesn’t start here. It starts the first time I almost die. I grabbed this on my last trip to the library. I like mysteries and this was the only non-dystopian book I grabbed. It’s good to vary up what I read. First of all, the narration flips between the past and the present after every chapter. So for a while, we’ll be in the “Now”, where Sophie is dealing with the fallout of Mina’s death. Then it switches to sometime in the past 3 years, from the time after the accident to Mina’s death. It was interesting because it introduced a lot of people and incidents in a nonlinear way. It always kept the action moving, at least. I liked Sophie. I wasn’t sure I would, but she’s a flawed character who is still determined to see past her flaws. She knows she’s somewhat disabled with her bum leg and her Oxy addiction makes everyone around her nervous, but she tries to get past those things. And the other characters do not treat her like she’s perfect. I liked this dynamic. Too often, I think, book characters are portrayed as being perfect or perfect because of their flaws. Something like that. But no one is perfect and we have to work hard to live in spite of those things. Flaws are good. The mystery is actually really intense once it picks up. (It takes a lot of set-up for Sophie to even want to solve the mystery.) I had no idea who it was, and trust me, I was trying to guess. I was picking unlikely characters and banking on them, only to still be wrong. You figure it out just a chapter or so before it’s revealed by the characters. There are lots of twists and turns in this story. I think some of them were pretty risky for a mainstream novel. A lot of these I would expect to see in an indie book, but this seemed daring. I liked that. This was good. I’m looking forward to more from this author in the future. She has a nice writing style. First Lines: Welcome to Twitter, Bear! Let the boy-stalking (ahem, following!) begin. This was on my to-read list for a few years. I always wanted to get around to it because it’s told entirely through tweets, emails, and blog posts. I wanted to see how the story would translate. So I bought it at a sale and read it. Claire is a hopeless romantic. She wants Mr. Right and she doesn’t want to settle for less. Lottie, Claire’s BFF, is determined to set her up with the hottest guy in school. Will wants his crush to finally notice him. And Bennett has a plan. Claire can’t believe it when her dream guy starts following her on Twitter. He’s never shown interest in her before, until now. But Twitter can be a harsh place when people act differently online than they do in person. First of all, I want to say that the format was really cool. I liked reading all the tweets, all the personal messages the characters had with each other. It was like seeing the story from 3-4 different perspectives. Plus, the tweet format was just different and interesting. It did take a little time to get used to, but it helped make the story a very quick read. But the plot didn’t really have a lot to it that was exciting. It’s a pretty cliche story. I can’t tell if it was done that way intentionally or not. I mean, having a new format to the story could really throw some readers for a loop. A simple story helps highlight the format and makes it easier to understand. But the story was exactly like so many rom-coms, and not a good one at that. I did like the characters, especially when they were being witty with each other. Like how Bennett and Lottie seem to hate each other and it comes out in varying degrees of sarcasm. That’s fun. Claire has a kind of innocence to her that was charming, but it also seemed a little overplayed. And Will…well, he may have been the best character of the bunch. It was cute as a way to experiment with writing a story in a new way, but it wasn’t a terribly exciting story. First Lines: Beth and Ryan were holding hands. It was enough to risk a formal citation for indecency, and they knew better, but I didn’t say anything. This was a book I’d been meaning to read for a long time, but it was just never easily accessible to me. (I prefer physical books to ebooks, so I kept waiting for the library to have it.) I finally just put it on hold and read it. Ember’s world has changed in the last few years. Big cities like Washington, D.C. and New York City have been abandoned. The Bill of Rights no longer exists. Instead, it’s the Moral Statutes. There are no more police, just soldiers. And forget about fines; criminals of any kind are arrested and taken away, usually never to be seen again. Ember and her single mother have become experts at laying low to avoid notice. Her life is as peaceful as anyone can expect in this new world. Until her mother is arrested for noncompliance with Article 5…and the arresting officer is none other than Chase Jennings, the only boy Ember ever loved. I love a good dystopian novel, and this totally fit the bill. It was believable while still being different than our world. There aren’t any crazy sci-fi things in it, just things that could happen if our government slowly collapsed and turned more militant. So I enjoyed that it felt realistic and plausible. This was a pretty addicting read too. I was surprised by how much I wanted to keep reading it. Some moments were harder to read because they are really dark and gritty, but it was still really good. Lots of twists and turns in the story to keep things interesting. I really liked Ember and Chase. I thought they were interesting characters. Ember is strong and tries to be self-reliant as much as she can be. She can’t trust anyone around her, even though her instinct is still that people are mostly good. Chase is a bit more interesting, but I can’t go into details without being a spoiler. But I will say that both of these characters are incredibly damaged and they know it. I thought that was interesting, that they had so many issues and acknowledged that about themselves and each other. It’s not every day you read characters like that. I don’t want to say the story is perfect, but it’s good. There are some points where the plot seems too easy or convenient, but it was still worth reading. There were enough twists and turns I didn’t see to make up for the ones I did. First Lines: I emerge from the simulation with a yell. My lip stings, and when I take my hand away from it, there is blood on my fingertips. I must have bitten it during the test. When I saw this on the library shelf, I snagged it. Funny enough, this wasn’t even on my to-read list. But that had to have been an oversight on my part because I totally wanted to read it. Who wouldn’t want to read about Four? Two years before Beatrice Prior made her choice, Tobias Eaton made his. Son of the Abnegation leader, Tobias realizes he has to leave his father. He needs to be someone new. Joining Dauntless and renaming himself Four seems to be the trick. But Dauntless isn’t what he thought it would be. When Four stumbles upon dangerous plots that threaten those around him, he must decide if he should take action or not. Two years later, ready to take action, Four’s life changes when a young Abnegation transfer jumped off the roof. With her help, he may be able to stop bad things from happening…but at what price? Ok, so basics: the first three stories in this book take place before Tris ever enters the picture. Which was fine. There was a lot of background on Four and his life prior to the transfer. I liked that. I liked seeing Four go through his own initiation and all that. It was nice to see him as lost as Tris was. But they weren’t overly exciting. I mean, there were cute or funny or exciting scenes, but the stories just didn’t have the same feel to them that I got from Divergent. Maybe it’s just because I don’t know these characters as well. We never really see Four with any friends in Divergent and it was weird seeing his friends here. 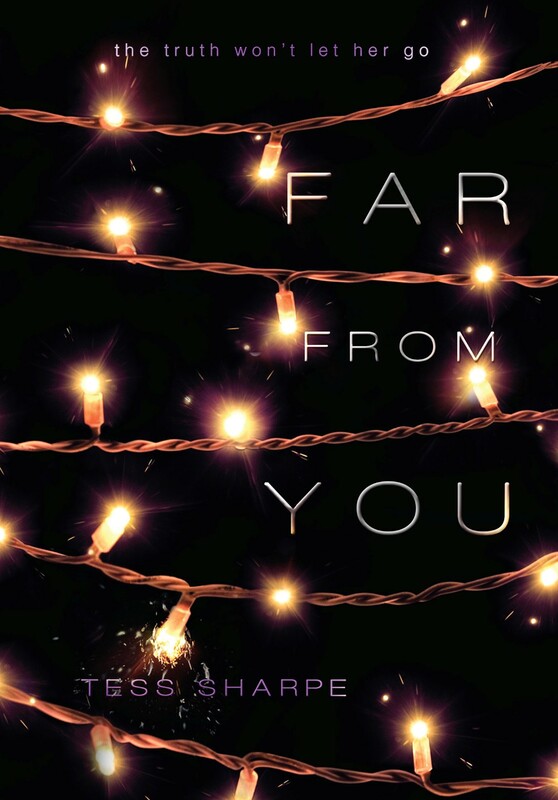 The fourth story in this collection is parallel with Divergent, just from Four’s perspective. This made it all worth it. I mean, I’ve read that story like 3 times already just because I love it so much. It’s so interesting to see the same scenes from another set of eyes. And one of my favorite scenes was in this! (I don’t know whether I should tell you or not what scene I’m talking about!) Suffice it to say, the meat of Divergent is in here, along with a few other snippets at the end from Four’s perspective. I loved seeing Four the way he sees himself, especially since he’s so private. He’s a sharp kid. He sees way more than a lot of people give him credit for, but he also knows how to hide who he is from others. I was impressed by his instincts and his cleverness. I didn’t think Four could impress me that much, but I think I might have just fallen in love with him a little more. Such a great collection, even if you just pick it up for the last story. First Lines: A story is alive, as you and I are. It is rounded by muscle and sinew. Rushed with blood. Layered with skin, both rough and smooth. This was a book I bought at a sale over the summer. I like fairytale retellings, but I’m usually pretty leery when it comes to these “Once Upon A Time” books. They’re hit and miss. Some are excellent, others not so much. But I needed something quick I could get through. Once upon a time, there was a king with a heavy heart, who no longer trusted those around him. His wife had betrayed him and, with her dying breath, cursed him to never love or trust again. So he makes a resolution: every night, he will wed a young girl. And with the coming dawn, she will be executed. 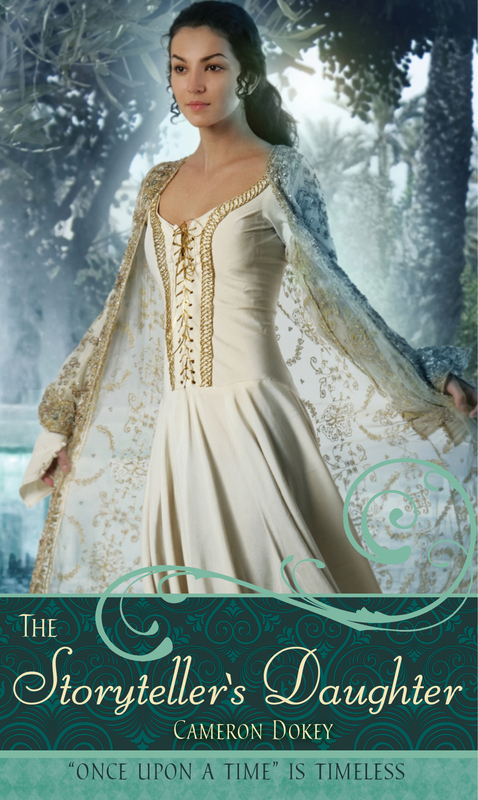 Nothing will change his course, until Shahrazad, the storyteller’s daughter, decides to step in his path. With words along, Shahrazad hopes to change the king’s heart. 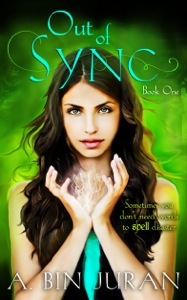 Bonds form between them, but will they be strong enough to survive the danger ahead of them? I have some vague familiarity with the story of “Arabian Nights.” I read excerpts in a college class 3-4 years ago. So I was interested to see how this compared. Maybe because I was less familiar with the source material, I really ended up liking this. (Some of Dokey’s other books I haven’t liked because I felt she deviated too much from the original fairytale.) From what I can remember of the original tale, she stayed pretty close to the plot. It’s just an abbreviated version of the same story. I liked the main characters and how their sides were interwoven. The narration jumps around a bit, but mostly it focuses on Shahrazad. Still, as a storyteller, she likes to give different sides of the story to stay interesting. I thought some of Shahrazad’s stories were really interesting, if long. There’s a fine balance between the story (with Shahrazad and the king) and the stories she tells. They do kind of take away from the plot, but they usually have good morals or aspects to them that still relate back to Shahrazad or the king. So that was neat, to try to see how they fit together. This was a super fast read, and pretty interesting. A nice change of pace from what I had been reading. And related to classic literature, which is fun.